What comes to mind when you think of the crocodile? Mysterious, ugly, unpredictable, huge, smelly reptile. But despite it's fearsome reputation (and smell), it is by far the most well-known exotic leather. Just almost everyone would like to have one or already own one. 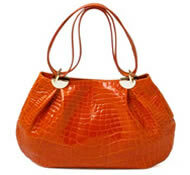 Crocodile leather belts, wallets, purses, handbags, briefcases, even boots! Mind you, they are very expensive (I'll just buy a belt, thank you). Think high class. 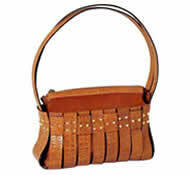 They happen to be one of the durable types of leather; they are very tough. Biggest crocodile is found in the Crocodile Farm in Samut Prakan province, Thailand. It is 6 meters long (19.6 feet) and weighs 1,114.27 kg (2,455.95 lbs). Approximately 70 years or more depending on environmental stress (Oh yes, they get stressed, too!). The oldest crocodile is 115 years old found in Yekaterinburg, Russia. It has died already, sorry folks, you could not see it alive anymore. 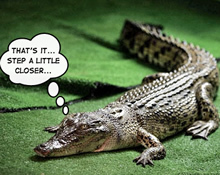 Cross breeds found in crocodile farms are not protected. They are found in the tropics; Africa, Asia, Australia and Americas. They are farmed in crocodile farms where the climate is suitable (tropical). Oh my, yes!! Stay out of range of its tail and the jaws! No. Let's just say they look at humans with indifference and contempt, or find us annoying. Handlers get bitten or hit by the strong tail, wild crocodiles attack people on camping trips. We do not have available global statistics at the present. Crocodiles did kill people. We do not have global statistics for that. Yes. Quiet a delicacy in China. A rather delicate flavour, a bit like chicken or fish. It can be another kind of white-meat. They tend to live in slow-moving rivers and some are found in the sea. Crocodiles eat dead or living mammals and fish. They are farmed in Australia, Thailand and other parts of Southeast Asia. They are sent to be processed when reaching the length of 1.5–2 metres (4.92-6.56 feet). The skin is separated from the flesh. Then it is soaked in water to remove dirt, blood, salt and other excess fats. The animal hide is fleshed; the flesh is removed from the surface of the hide. Usually this process is done by machines. If there are hairs, this step is followed. Hair removal is done by soaking the hide in a lime solution. This action loosens the hair from the skin. Then the hide is scudded; removing of the hairs by using a dull knife (this process is usually automated by machines). When that is done, the lime should be removed (deliming). Then it is ready for tanning. The tanning process may differ depending on the required end-product. Vegetable or natural tanning will produce stiff but flexible leathers suited for luggages, furniture, leashes, belts and similar items. The compound used are usually organic and they contain tannin (you guessed it, this is where we get the term "leather tanning"). Tannin comes from bark, leaves, wood and fruit of chestnut, oakwood trees, hemlock trees. Then there is mineral tanning which uses mineral compounds; chrome for example. The leather can be dyed and/or polished further according to fashion. Very tough, maybe tougher than most cattle leather. 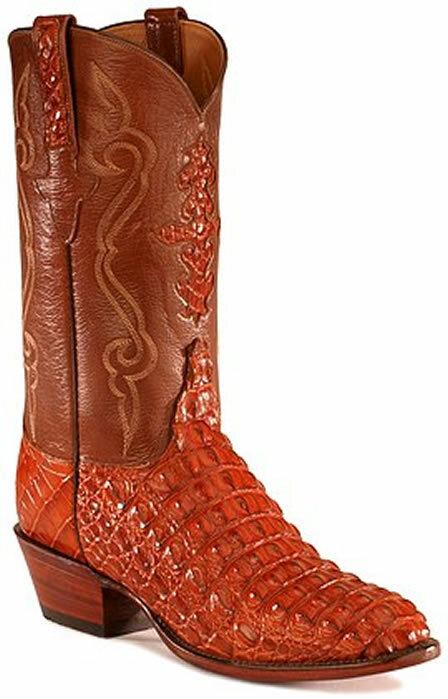 Crocodile leather is not soft. It has scales, folds and ridges that show natural patterns.